Mauritius should amend national legislation to comply with international law on police use of firearms. International law restricts such use to where it is necessary to confront an imminent threat of death or serious injury or a grave and proximate threat to life. (d) in order to prevent the commission by that person of a criminal offence, or if he dies as the result of a lawful act of war.S. 4(2), 1968 Constitution. The Constitution further states that: “No person shall be subjected to torture or to inhuman or degrading punishment or other such treatment.S. 7(i), 1968 Constitution. The Constitution creates the public office of the Commissioner of Police whose duty is “to command the Police Force”.S.71(2), 1968 Constitution.The Commissioner of Police takes and complies with “general directions of policy with respect to the maintenance of public order” from the Prime Minister or a Minister acting on behalf of the Prime Minister.S.71(3), 1968 Constitution.The Commissioner of Police is also responsible for “for determining the use and controlling the operations of the Force".S.71(4), 1968 Constitution.Mauritius does not have a national armed force. All military, police, and security functions are carried out by the police. The 1974 Police Act allows a police officer, in effecting an arrest, to "use such force as may be necessary to ensure compliance".S. 13E(4), 1974 Police Act No. 19 (as amended).The Act further states that a “police officer who has reason to suspect that a person has committed or is about to commit an offence which will endanger public safety or public order, may arrest that person and use such force as may be necessary for that purpose".S. 13F(1)(a), 1974 Police Act No. 19 (as amended). The constitutionl provisions cited above seemingly allow the use of firearms to protect property, which does not comply with international law and standards. (e) to maintain discipline in the institution.S. 12(1), 1988 Reform Institutions Act No. 35. (c) endangering the life of, or is likely to inflict serious injury on, any person.S. 12(2), 1988 Reform Institutions Act No. 35. 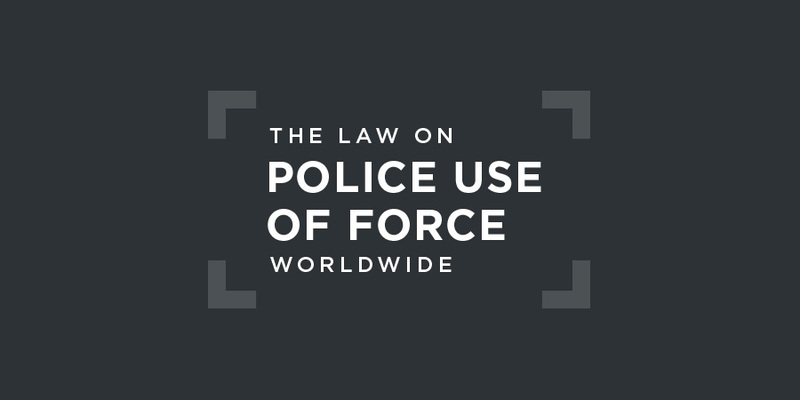 (d) perform such other function as may promote better relations between the public and the police and as may be conferred upon it by any other enactment. about reports of ill-treatment inflicted by security forces on persons deprived of their liberty. The Committee regrets the lack of clear information about the overall number of complaints lodged, the nature and authors of the alleged acts, investigations carried out, convictions, sanctions imposed on those responsible and reparation granted to victims. The Committee notes the establishment of a new Police Complaints Division within the National Human Rights Commission that is tasked with investigating complaints against the security forces; however, it regrets the lack of details on the human and financial resources at its disposal.Human Rights Committee, Concluding Observations on Mauritius, UN doc. CCPR/C/MUS/5, 11 December 2017, para. 33.
in all cases of ill-treatment by security forces (police and prison officers): (a) victims can complain; (b) impartial, thorough and effective investigations are carried out into allegations; and (c) those responsible are prosecuted and, if convicted, punished with appropriate sanctions and victims have access to effective remedies. The State party should provide the Police Complaints Division with adequate and sufficient human and financial resources to enable it to properly carry out its mandate, and it should extend the use of video recordings to all police and detention settings so as to prevent ill-treatment.Human Rights Committee, Concluding Observations on Mauritius, UN doc. CCPR/C/MUS/5, 11 December 2017, para. 34. The treatment of detainees who are placed in a vulnerable position is a matter of even greater concern when it comes to protection of these human rights. The detainee is virtually cut off from the outside world and is placed in a situation of weakness and vulnerability being left to a considerable extent to the mercy of police or prison officials. The State has positive obligations to afford security and protection of the law and human rights to all categories of its citizens. The State has a duty to secure and not to violate the right to life and the right to protection from torture and inhuman treatment. The more so, in respect of its more vulnerable citizens.